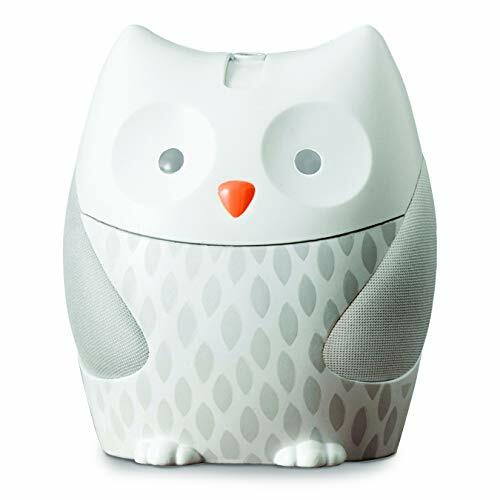 With plug-in power, this nightlight soother features a dimmable nightlight that emits a warm glow, our baby soother plays eight gentle melodies and calming nature sounds. An adjustable pivot lens projects a starry nightscape onto any surface so little one can see the luminous sky from his or her favorite sleeping position. Just choose the light and sound combination that's right for your baby and our sweet friend will do the rest!